, Winter is often associated with negativity. It’s cold, harsh and, for the most part, depending where you live, kind of inconvenient. Often times, winter and sickness also go hand-in-hand. 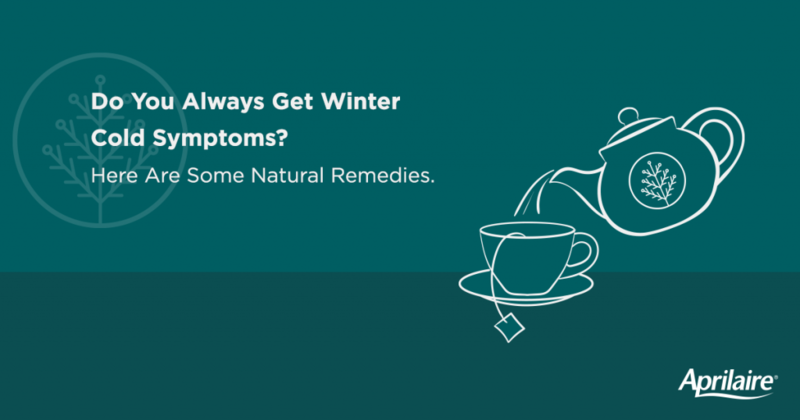 That said, if you or anyone in your family are prone to getting sick throughout the winter season, the good news is that there are some preventative natural remedies you can try to maintain Winter Wellness. People have been using apple cider vinegar for relief for years. The best way to use apple cider vinegar is to dilute and ingest it. Our favorite recipe is this fire cider from Mommypotamus.com. Enjoy! Another great natural remedy is homemade elderberry syrup, which RealFoodRN.com says is packed with vitamin A, vitamin C, and antioxidants. One study in Norway tested the effectiveness of elderberries on 60 patients who had developed flu-like symptoms. You can read the results of the study here. We suggest you read more about the effects of elderberry syrup and how to prepare it from a reputable, well-researched source such as the Franklin Institute of Wellness. Some people swear by green tea as a natural health food capable of being a reliable cold and flu remedy. According to Healthy Holistic Living, green tea contains infection-fighting antioxidants. For an extra boost, consider adding antioxidant-rich local, raw, organic honey to your tea. One study showed that honey works as a better night-time cough suppressant than some medications. In addition to being great for winter cold symptoms, both green tea and honey host a number of additional benefits, including aiding in digestion. Truthfully, it’s not necessarily the cold itself that’s the problem throughout the winter. In fact, it’s the dry winter air. Our airways, sinuses, blood vessels and skin depend on moisture to keep our bodies running in top physical condition. It only makes sense that when we remove the moisture from the air, our bodies begin to react negatively to the environment. Not to mention, studies show that the flu virus and other airborne pollutants actually thrive in environments with low humidity, leading to an increased risk for illnesses. Prevention is the most effective natural remedy for winter-related illnesses. A whole home humidifier set somewhere between 30-50% humidity in the wintertime can work wonders for you and your family’s health. Contact your local Aprilaire professional today to discuss your home’s Winter Wellness needs.